Scientists have spent years creating ever-smaller lasers. Berkeley Lab’s latest invention, however, is something special — and could lead to a significant change in medicine. An international team at the school has developed “microlasers” that are smaller than a red blood cell. The researchers discovered that 5 micron-wide polymer beads mixed with exotic nanoparticles (sodium yttrium fluoride infused with thulium) could reliably emit bright light on specific wavelengths when exposed to infrared light. The concoction makes light bounce around the inner surface of the bead, creating collisions that can repeatedly amplify the light — it’s similar to the “whispering gallery” effect that lets you hear a quiet sound across a giant space with the right acoustics. Even in their rough state, the bead lasers can work for at least five hours of continuous use, even if you immerse them in blood or other less-than-pristine environments. They don’t wear out quickly, either. 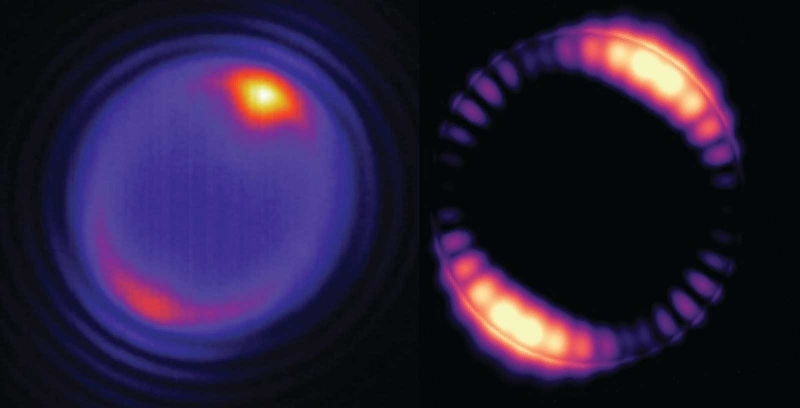 The team found that beads pulled “off the shelf” months or years later still function as lasers. And if you need to redirect the lasers, you can use the same infrared light you’d use to excite them. Refinement is necessary before this is useful. Researchers are still looking at how they can tweak the nanoparticle elements and the makeup of the beads themselves to both optimize performance and determine the laser light they get. The implications could be far-reaching, though. Berkeley noted that you could use this to control neuron activity, which might help with brain diseases. It might also be helpful for sensors that detect chemical and environmental changes, or a new wave of optical chips. Any of these developments are likely years away, but there’s a lot of potential in these minuscule pieces of plastic.